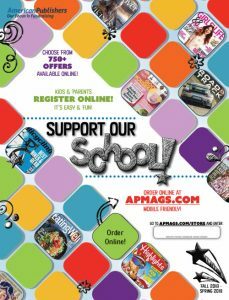 American Publishers is leading the magazine fundraising industry with the roll out of our fall 2014 interactive website for school fundraising. M2 Media Group purchased American Publishers from Hearst on March 12, 2014. The company represents over 1,000 magazine titles through its direct-to-publisher network and fulfills millions of subscriptions annually to customers nationwide. M2 Media Group developed a patent pending system comprised of personalized storefronts, an avatar creator and other key features. We are very excited about the acquisition and investment in technology to bring excitement and innovation while stressing the importance of family literacy through awareness and the use of magazines in fundraising efforts. We are partnered with military organizations that offer the opportunity for customers to donate their purchase to one of our military personnel. Your organization still receives full profit for their purchase.